The beachfront, 5-star Delphin Palace Hotel is situated on the Mediterranean Sea in Antalya. It offers rooms with free Wi-Fi, a large lagoon-style swimming pool, daytime activities and evening entertainment. Rooms at Delphin Palace are spacious and offer dark wood furniture and Turkish décor accents. Each room has a private outdoor balcony, some feature side sea views. All rooms include satellite TV, a work desk and bathroom amenities. During the day guests can enjoy the waterslides or participate in on site sports tournaments. The wellness centre includes a full-service spa and well-equipped fitness centre. A cinema, children’s club and seafront sun loungers are also available. 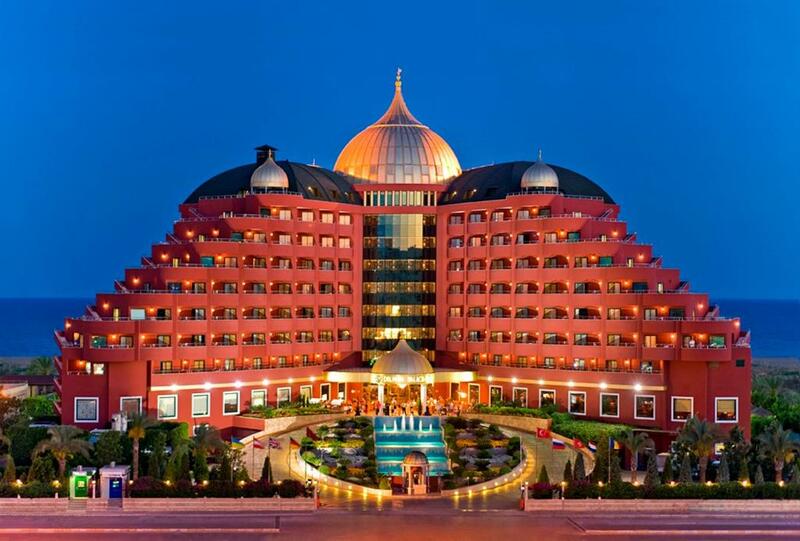 Antalya Airport is a 15 minutes’ drive from Delphin Palace Hotel. This is our guests’ favourite part of Lara, according to independent reviews. This property also has one of the best-rated locations in Lara! Guests are happier about it compared to other properties in the area. Delphin Palace Hotel has been welcoming Booking.com guests since 19 Jul 2010.